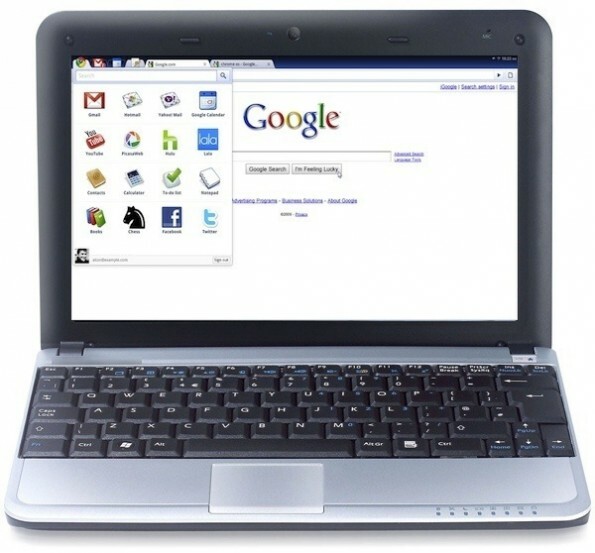 Report: HTC may build a Chromebook. Should they? Google Chromebooks aren’t quite the hottest selling devices, but that may not stop another manufacturer from building them. HTC is the latest hardware maker considering to dip a toe in the Chromebook pool, according to DigiTimes, which monitors the Asian supply chains for mobile devices. Samsung and Acer currently build and sell Chromebooks, which are essentially Google’s Chrome OS(s goog) and browser in place of a full desktop operating system on a low-cost notebook. At the moment, there doesn’t seem to be much of a Chromebook market. Google doesn’t report sales figures, but the devices appeared to get off to a slow start. Earlier this month, DigiTimes estimated Acer sold only 5,000 Chromebooks in the first two months of sales, while Samsung sold even fewer. And recently, Google announced a price cut to $299. I know of some people in my geeky social networks who have purchased a Chromebook, but I’ve never seen one in the wild, nor do any of my friends and family even know what a Chromebook is. Based on the lack of general interest in Chromebooks, I’m not sure what HTC has to gain here. If any hardware maker could build a Chromebook with an appealing twist, however, I think HTC is that company. Although it started out as a behind-the-scenes handset maker, HTC has built its brand recognition — and sales — over the past few years through innovative software enhancements and cutting-edge hardware. HTC has also shown it’s not afraid to take risks on new products, even in niche markets. Think back to the HTC Shift for an example. Back in 2008 when hardware makers were trying to push 7-inch Ultra Mobile PCs (UMPCs) — tablets running Microsoft Windows(s msft) — HTC created the Shift as a solution for those who wanted a keyboard. The 7-inch slate had a touchscreen like all other UMPCs at the time, but the display could be shifted up to reveal a small, but usable keyboard, for typing. The Shift used an Intel(s intc) processor and full desktop operating system, so HTC has the experience to build a Chromebook. And Google’s Chrome OS can also run on ARM-based(s armh) chips, which HTC uses for the tens of millions of smartphones it sells. Clearly, HTC could build a decent Chromebook and even make it unique compared to those currently from Samsung and Acer. Yet, I don’t see much point. I like the Chromebook concept, but much of the functionality of such devices can be met with a low-priced netbook or even a tablet. If you’re a Chromebook enthusiast, I suspect you’ll be happy to see HTC enter this market. But I’m more curious to hear from others: Does it make sense for HTC to build a Chromebook, or would the company simply be wasting its time?